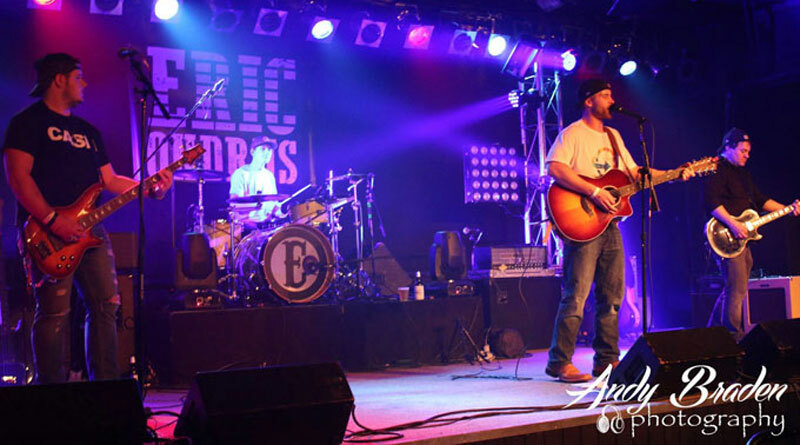 Born in Toledo, and raised just across the state line in Temperence, MI, Eric Ondrus is a 24-year old country music artist full of ambition and passion. Like any county artist, Eric knows that writing is at the heart of it all, and he’s been surrounding himself with some familiar names. “I’ve been writing a lot with Joshua Melton, Sean Williams, and I’m playing a lot of shows with Luke Rausch this fall,” he said. Eric is a country singer, but it hasn’t always been that way. “To be totally honest, growing up I was really into Pop/Punk. Hit The Lights was my favorite band, but when I heard ‘Amarillo Sky’ by Jason Aldean, that really turned me onto country music. Old Dominion is my favorite artist right now, I also a big fan of Kip Moore, I think he’s a really underrated artist,” said Ondrus. Performing and growing his name is the plan now, and he’s been expanding through Northwest Ohio and Southeast Michigan. Over this past year, Eric has seen his fan base grow, had the opportunity to play at progressively larger gigs, and his debut single, “Summer Love” has been played on over 400 FM radio stations worldwide, and both played and recorded in Nashville, TN. Eric’s Nashville-recorded EP titled, “Livin’ Free” is available on iTunes or Spotify! We know that there is a ton of talent in our local bands, and we also know how hard it is to get a shot to be heard. That’s why we created the Local Artist Spotlight. Each month, you can see photos, videos, tour dates, and bio information on a different local band, and the artists themselves will pay a visit to the WKXA studio to perform.